Our newest Friend of Add-ons is Santosh Viswanatham! Santosh attended a regional event hosted by Mozilla Rep Srikar Ananthula in 2012 and has been an active leader in the community ever since. 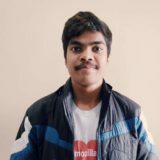 Having previously served as a Firefox Student Ambassador and Regional Ambassador Lead, he is currently a Tech Speaker and a member of the Mozilla Campus Clubs Advisory Committee, where he is helping develop an activity for building extensions for Firefox. Santosh has brought his considerable enthusiasm for open source software to the add-ons community. Earlier this year, he served a six-month term as a member of the Featured Add-ons Advisory Board, where he helped nominate and select extensions to be featured on addons.mozilla.org each month. Additionally, Santosh hosted a hackathon in Hyderabad, India, where 100 developers spent the night creating more than 20 extensions. In his free time, Santosh enjoys dining out at roadside eateries, spending time with friends, and watching TV shows and movies. Congratulations, Santosh, and thank you for all of contributions!